Children aged 12 months to three years, who have established independent walking, may begin their Montessori experience in either our Toddler 1 or Toddler 2 communities. An 18-month age rage is maintained in each of the Toddler classrooms. Children enrolled in either of our Toddler communities may attend school two days a week (Thursday and Friday), three days a week (Monday through Wednesday), or five days a week (Monday through Friday). Children in our Toddler communities attend an all-school chapel once a week, and a Music Together® music class twice a week. Our Montessori-trained teachers and assistants guide and support the toddlers as they develop independence, an appreciation for order, and a love of learning. 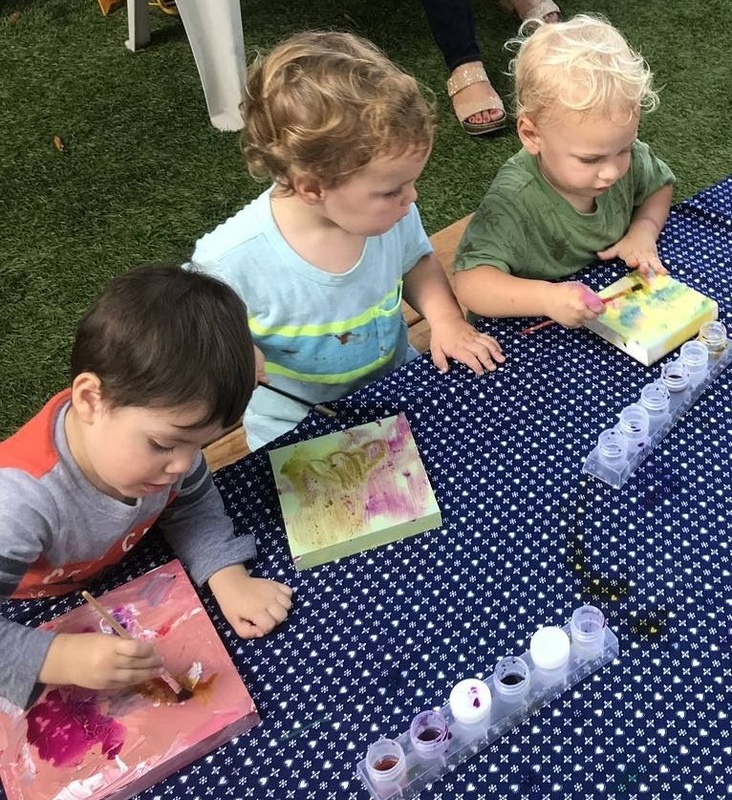 Toddlers explore language, music, movement, art, practical life activities, and fine and gross motor activities that are developmentally appropriate. Snack time and outdoor play are part of the toddler's daily routine. Group-time songs and stories encourage an early sense of community and cooperation. Coordination, speech, independence, and confidence are all gained as children work and play in this nurturing environment.